It can be difficult to trust online, especially if you don't know us yet. We're in the business of making clear and effective training programs that build strength, flexibility, and body control. If they didn't work, we'd be out of business in a hurry, but even with thousands of successful clients, we understand that no single approach is perfect for everyone. That's why we absolutely guarantee that: If you do the work, you'll get results. After purchasing a program, log in and check out the materials. If you have any questions or technical difficulties at all, let us know, and one of our coaches or support staff will get back to you ASAP. Having trouble? Again, let us know - we are here to help. If we're not able to get you making progress within 45 days, let us know, and we'll give you a full refund (just request the refund before the 45 day period is up). You've got 45 days from the date of purchase to use the programs and prove to yourself that GMB programs work. If it doesn't work for you, request a refund anytime within that 45-day period and we'll help you out. Of course, when you make a generous and confident guarantee, there's always going to be a few bad apples who want to take advantage of the situation. So, unfortunately, we have to set a few limits to prevent abuse. For one thing, we can only allow a maximum of one refund or exchange per client. And though we absolutely guarantee results, we can’t offer full refunds on our extensive Gone Wild bundle since it includes coaching access and shipping. If you aren’t happy with your progress after 45 days, we’ll return your Gone Wild bundle purchase minus $100. "I hurt myself playing soccer, so I can't work out for a while." - Lucky for you, you have lifetime access to your program, so you can get right back to it once you've recovered. "I can't do all the exercises." - That's exactly why you need the program, right? Keep trying, and let us help you. You'll get there with time and effort. "I'm not getting instant results." - Stick with it :) We promise, you'll get better. "I purchased this program last year, but I forgot to ask for a refund sooner." - As mentioned above, you've got 45 days (from the purchase date) to request a refund. The gist here is that we make great programs, and we're proud of what we do and of the thousands of people who have chosen to put in the work so they can move better than ever. With a refund rate less than 2% (which is ridiculously low in the fitness industry), we know you'll get out much more than you put in.  GMB is here to help you get there, so rest assured that we've got your back.